Finished in black rechargeable LED/UV Loupe. 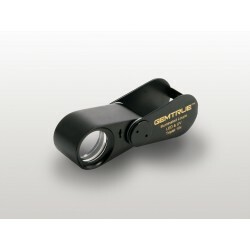 High-quality triplet 10x 20.5 mm colour and distortion free lens. Lens 13 mm or 18.5 mm. Battery not included.